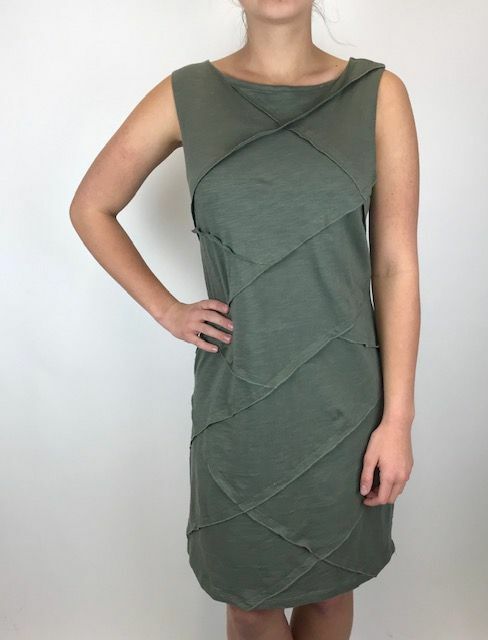 A cotton soft dress with a high neckline and front serged hem detail. 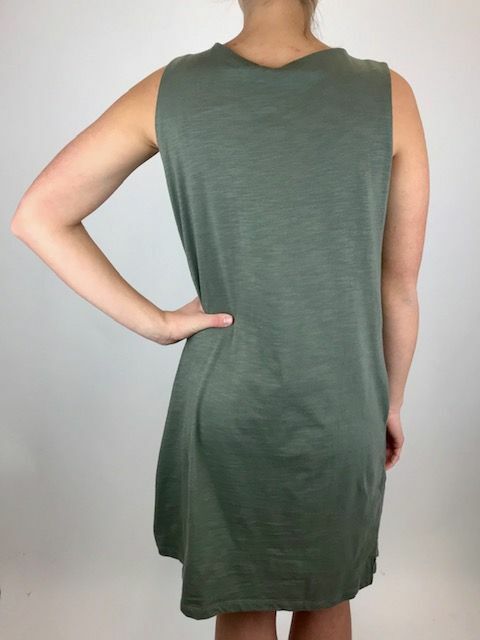 This piece has a straight fit and is sleeveless. Add a sandal in the warm months or wear with a jacket and boots.